The Hungarian guitarist, Johann Kaspar Mertz, was the most lyrical guitar composer who worked in the 19th century. 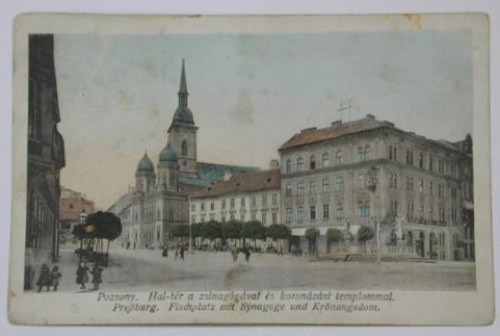 He was born in Pressburg (present Bratislava, Slovakia) on August 17, 1806. Married to a pianist Josephine (née Plantin), they resided in Vienna, Austria which had a history of providing a home for prominant international guitar players, Mauro Giuliani, Luigi Legnani and Anton Diabelli included. A guitar peformer of the highest order he had attracted a loyal following in the city. Berlin (Kingdom of Prussia) and Dresden (Kingdom of Saxony) were points of call for the concert player, and he also toured Moravia (province of Austro-Hungarian empire), Poland and Russia. Suffering from neuralgia (pain caused by abnormalities in the neurological system), an overdose of of a prescribed medication strychnine (also a poison) almost saw the end of the musician. His wife nursed him back to health over the following year. He was finally able to resume his work, but the Hungarian revolution of March 1848 had forced the public along with many of his pupils to flee, leaving Mertz without an adequate income. Circumstances improved though and by 1855 Mertz found himself in partnership with his wife, performing for the Imperial Family in Salzburg. 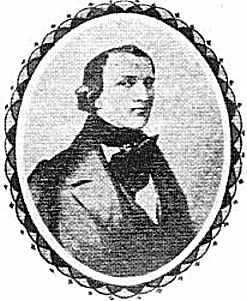 In Brussels, Belgium, in 1856, Johann Kaspar Mertz won first composition prize in a local guitar competition. Napoleon Coste had also entered with his Great Serenade opus 30 but it was Mertz's Concertino per Chitarra sola which was victorious. He died soon after entering and did not even hear of his success before his passing. Do you have your own video to submit to maestros-of-the-guitar.com ? There are clear references to the current Romantic piano styles which Mertz was exposed to through his wife's piano work. His guitar styles are more similar to the pianistic forms of Chopin, Mendelssohn, Shubert and Schumann than earlier guitar forms employed by Fernando Sor, Dionisio Aguado (classical – Hadyn Mozart) and Mauro Giuliani (bel canto - Rossini). 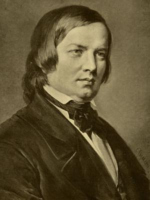 Johann Kasper Mertz's most prominent work is a collection of small pieces called the Bardenklänge (English : Bardic sounds), which are stylistically similar to the piano works of Robert Schumann. Interestingly these pieces were inspired by a man who did not exist! Falaciously they were ascribed to a 3rd century bard called Ossian Gaelic, but in reality the work was written in the 1700's by the Scotsman James MacPherson. Even so, the poetry inspired many a Romantic European poet or musician. 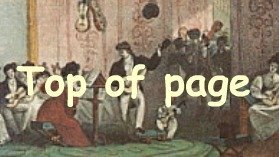 Find your favourite Johann Kaspar Mertz Sheetmusic at this page!